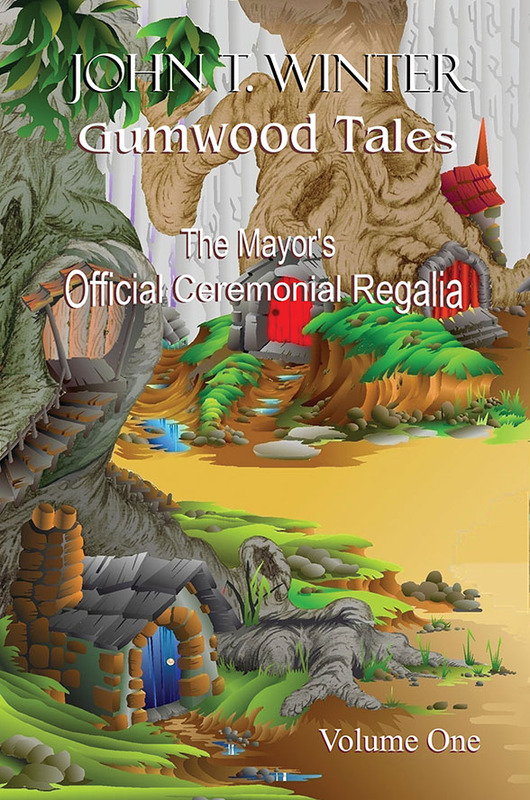 This first of the Gumwood tales takes place around the village of Muchadoo in the land of Gumwood. The villagers have just heard that their mayor’s precious ceremonial regalia has been stolen. Who could have taken it? The friends platypus, brush turkey, and possum are falsely accused of the dastardly theft, following a failed attempt to persuade sergeant bulldog to rescue a rabbit from two nasty foxes that ambushed the rabbit and put him in a sugar bag. The king of the foxes has also trapped an unsuspecting goose and put her in a bag. A more subtle enticement is carried out by a cat who wrongly thinks she’s in league with the foxes. She leads a brush turkey into a trap, only to find she’s also caged and ready to be cooked on a bonfire! It turns out the animals were trapped to furnish food for the grand foxes’ yearly feast. Where will this all lead? Good triumphs over evil in the end, but there are casualties and one mystery that remains for the next book in the series. Gumwood Tales: The Trouble With Swill once again tells the sorry tale of the sly foxes led by Festus, who scheme with the ferrets to trap and force animals from the town of Muchadoo to work in their gold mine. There are a lot of twists and turns in this continuing story, revealing lies, deceit, revenge, stealing, and other bad things that some animals do. But there are also nice things that friends do for each other. 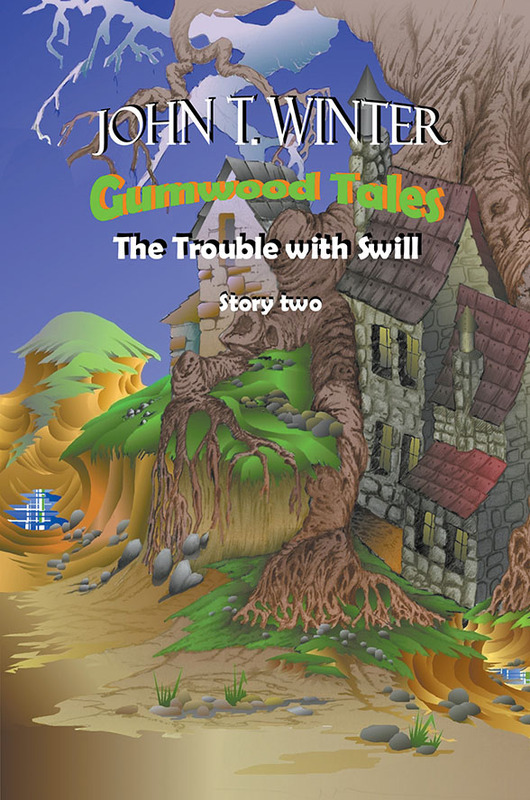 Sadly, friends can also be unkind, as young readers will discover in the latest Gumwood Tales, where all these things come into play. Meet a brave pig, wombat, rabbit, platypus, possum, turkey, cat, and horse as they fight together to survive. 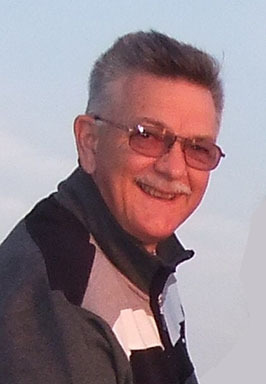 Hello, my name is John Winter I am the author of Gumwood Tales, living with my wife in a small seaside town called Urunga on the mid north coast of New South Wales in Australia. I have been writing stories and drawing pictures all my life, and now at the ripe old age of 70 I am making a mad dash to get them published. To this present time three stories are finished and another two well underway. Being now retired I should have more time to get into art and writing, but life is quite busy and that can still be a challenge. My wife loves her garden and I enjoy the benefits it brings in fruit and vegetables, blue tongue lizards and numerous birds. Recently retired after a career of 54 years from the age old art of piano tuning due to, would you believe, hearing loss. It was with sadness I did so, I regarded my work as a privilege, enjoying the many wonderful pianos and people I met over those years, many have become good friends. I still find enjoyment playing our Steck Duoart piano and Allen digital organ, with the help of very expensive hearing aids. The wonders of technology. We have three children, two girls and a boy, nine grandchildren and four grand dogs, all of which give us great delight. Although I feel the family deserve better, I dedicate these crazy stories to them all, especially perhaps to the dogs we have owned over the years that have since gone to doggy heaven. They were such faithful and fun filled companions. Henry, Sox, Charley, Rosie (a slight sour note hovers over dear Rosie) Rudge, Brandy. Bam Bam and Lilly Pilly. A couple of others I cannot remember at the moment.